The new home page of TurnpikeInfo.com features a touch-slider that will enable you to search popular toll roads from any device, using either a mouse or the swipe of your finger! Click the image to enlarge it. After six weeks of experimentation, I am pleased to announce the design of a new home page for TurnpikeInfo.com has been largely completed. While there are some minor adjustments to be made, the new home of TurnpikeInfo.com can be officially unveiled. The home page redesign is part of a larger website upgrade that is continuing through the summer of 2014. 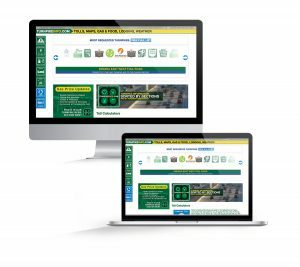 That redesign includes streamlining navigation, adding new travel features, adding several new roads, including bridges and tunnels that charge tolls, as well as rolling out a fully responsive website design. What that means is the information you will be able to get on the desktop will be the same on a tablet and a smart phone. Until now, the desktop website and the mobile website were separate entities, which essentially has forced us to pick what kind of material is delivered to our mobile users, and I have never really liked the fact they seem to have been short-changed on the information we offer. In May, we quietly unveiled our new lodging channel, which works with a booking engine hosted by our partners at Priceline. The lodging feature is already active, as any of you searching tolls will already have noticed. When you get toll results, there is a lodging icon that is displayed whenever there are hotels or motels that can be reserved near your destination city. The data are provided directly by Priceline, as is the reservations system, which means your reservations are safe and guaranteed. As we refine the site further, there will be options to search for hotels and motels adjacent to specific exits, so you will be able to actually plan your travel more efficiently with TurnpikeInfo.com. 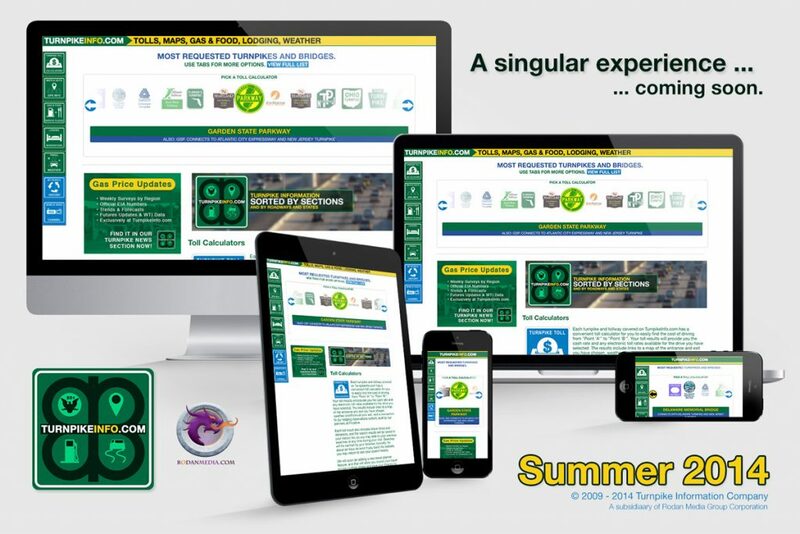 As we go through July, the current site will be completely replaced with the new design, and the new features we are developing will continue to be added through August. As that happens, you will see many pages change location, but there will be automatic forwards built in so you will always easily find the information you are seeking. In fact, the new design and structure of the site is meant to be super easy to navigate, with no-nonsense icons that are either identical to or closely resemble those you would see on the highway. This is an exciting time for TurnpikeInfo.com, and I am so glad to be able to count you among the site’s visitors and users! UPDATE ON NOVEMBER 4, 2014: After two delays due to the complexities of migrating to a new system, in addition to the fact I run two businesses and am media developer for a third, I can confidently state we will have our new site online by the Thanksgiving holiday. 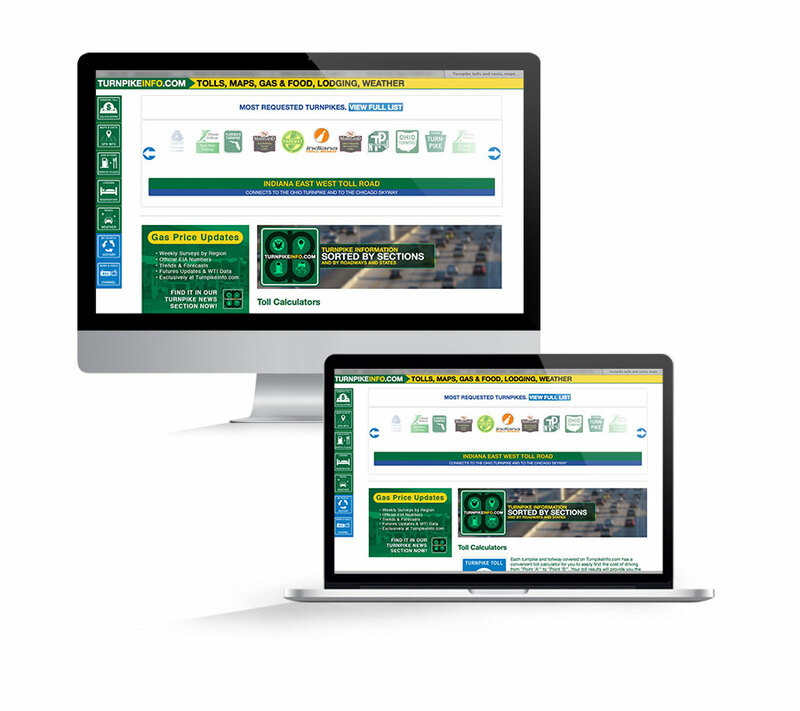 I apologize for the delays, but believe me, the new and upgraded site, which will include new toll roads, will have been worth your wait. Thank you, again, for your patience and your support!